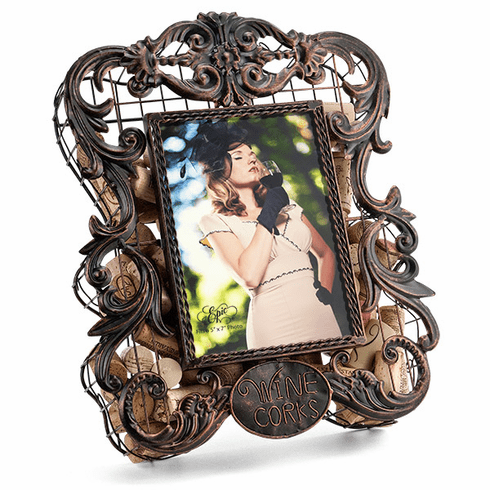 This hand-crafted metal scroll work frame collects corks and accommodates a 5" x 7" photo. Place on a table or hang on the wall! Includes a handy little vertical stand and hanging hole on backside. Dimensions: 10 1/2" x 2 1/2" x 12 1/2"